Unlike other leukemia, occupational exposure are not related to an increased incidence of CLL., However, a recent study has observed that CLL patients have a higher incidence of having had an infection before the diagnosis as compared to normal population suggesting a role for infection as an etiology CLL. However, no such study was performed from our institution, and there is lack of study which shows there is any association between chronic typhoid infection and leukemia. Therefore, this study aimed to observe and explore possible association of chronic typhoid infection and chronic leukemia particularly CML and CLL. The present study entitled “Study of the possible association of Chronic Typhoid infection in Patients with Chronic Leukemia” was carried out in Department of Medicine, and Department of Microbiology, Sir Sunderlal Hospital, Banaras Hindu University, Varanasi. A total of 20 cases of CML in chronic phase and 10 cases of CLL comprised of the study. Twenty controls had taken from orthopedic department admitted for orthopedic related surgeries. The study period was from January 2014 to May 2015. To evaluate the evidence regarding the association of bacterial infection (Salmonella typhi [S. typhi]) with the development of chronic leukemia's (CML and CLL) observational study, patients attending Hematology outpatient department with CML and CLL. Twenty patients with CML either newly diagnosed or follow-up patients with or without chemotherapy in the chronic phase of the disease and ten patients with chronic lymphocytic leukemia had comprised of the study. Bone marrow (BM) samples of 20 controls had been taken from the orthopedic department during surgery. Any patient having hepatitis B virus surface antigen, hepatitis C virus, HIV positivity or having any history of radiation therapy or exposure to chemical carcinogens were excluded from study. BM was aspirated from iliac crest under aseptic precautions and BM biopsy was done, samples were stored at 4°C. BM samples were subjected for polymerase chain reaction (PCR) analysis for S. typhi. Blood and stool sample from the patients were also collected for Salmonella culture, serological assays. BM samples from control had been taken during orthopedic surgery. Blood sample was inoculated directly onto blood agar, McConkey agar (MA), deoxycholate citrate agar (DCA) and Selenite F broth (for enrichment). Inoculated media was incubated overnight at 37°C aerobically. Subcultures were made from Selenite F Broth on solid plates (DCA and MA). The bacterial growth was identified using standard recommended techniques. For detection of S. typhi infection, antibody titer against somatic (TO) and flagellar (TH) were determined by the Widal test using a colored antigen kit (Span Diagnostics, Surat, India). 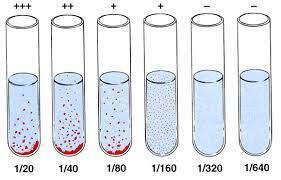 A titer ≥1:160 are considered to be positive result. It had been successful in detecting S. typhi in specimen by PCR targeting flagellin (fliC) gene sequences. Initially, the bacterial DNA is extracted from the BM aspirate following the standard phenol chloroform method following which the same will be subjected to PCR using primer specific to fliC gene of S. typhi. TE buffer (pH = 8.0) – 2 ml of 1M trisHCl (pH 7.5) and 0.8 ml of 0.25 M EDTA (pH 8.0) were added and volume was raised up to 200 ml with distilled water. It was autoclaved and stored at 40°C adjust pH to 8.0. Working concentration = ×1. At the start of PCR, the DNA from which a segment is to be amplified, and excess of two primer molecules, the four deoxyribose triphosphates and the DNA polymerase are mixed together in the reaction in the fallowing manner– First, the master mixture for the PCR was made in an Eppendorf and template was added at last after distributing the master mixer, i.e., the reaction volume (25 μl) in each PCR tubes. All the tubes are kept in thermo cycler and the corresponding program is used for PCR. Master mix was prepared and 20 μl was aliquot in numbered PCR tubes and to them added 5 μL of Templates. Nested PCR involves two sets of primers, used in two successive runs of PCR, the second set intended to amplify a secondary target within the first run product. It increases the specificity and eliminates unwanted products in PCR. Master Mix was prepared and 24 μL was aliquoted in numbered PCR tubes and to them added 1 μL of Primary PCR Products. Pour the liquid in already cleaned comb and tray for solidification. Kept the gel in alpha imager to see the result on computer. After running the gel the fragments can be seen with a UV light. The reason we can see the fragments with UV light is due to the Ethidium bromide dye that has been added to the gel. This dye will adhere to the DNA in the gel and when the gel is finished it can be viewed under a UV light and can be photographed. Mean, standard deviations had been calculated for quantitative variables. For qualitative and categorical variables, Chi-square and Z-test had been applied to test the significant difference between two proportions. P < 0.05 considered as statistically significant. Sensitivity, specificity, positive productive value, negative productive value, and accuracy of serological tests had been calculated at different cutoff points in respect of PCR for S. typhi. Out of 20 cases of CML, 12 cases were female (60%) and 8 cases (40%) were male, most of the patients were between the age group of 40 and 60 years (60%), most common presentation of the patient was generalized weakness (90%), 11 cases (55%) have hemoglobin <10 during presentation, 11 cases (55%) have total leukocyte count between ten thousand to one lakh, 13 cases (65%) are newly diagnosed cases, The mean age of the Patients studied is 46 years which is quite low when compared to western population where the incidence of CML is after 60 years of age, more proportion of female patients (50% vs. 25%), more proportion of patients belonging to lower socioeconomic state (50% vs. 40%) showed positive result for S. typhi in our study, although none of the result is statistically significant and probably because of small number of cases. Since detection and sequencing of fliC gene-specific nucleotide sequences of S. typhi and nested PCR is superior to culture and serology in detecting the presence of S. typhi in study samples and PCR is considered the gold standard in diagnosing S. typhi infection, the comparison between CML patients and healthy controls had been made based on the PCR results. The result is significant with 40% positivity for S. typhi PCR in CML patients when compared to 20% positivity in healthy controls with P = 0.028 which is statistically significant [Table 1], [Table 2], [Table 3]. The following table compares the sensitivity, specificity, positive predictive and negative predictive values of serological assay (Widal test) and blood culture with respect to PCR results in this study. The comparative study made between Widal test and blood culture for S. typhi vis-a-vis with nested PCR as standard test, showing Widal as more sensitive and blood culture as more specific in detection of S. typhi infection [Table 4]. Out of 10 cases of CLL, 6 cases were female (60%) and 4 (40%) were male. Most of the patients were between the age group of 40 and 60 years (60%). Most common presentation of the patient was generalized weakness (80%). Only three cases (30%) have hemoglobin <10 during presentation. Six cases (60%) have total leukocyte count between 10,000 and 100,000. The mean age of the patients studied is 55 years which is low when compared to western population where the incidence of CML is after 60 years of age. In patients with CLL, 10% of BM samples showed positivity for S. typhi by PCR targeting fliC gene specific nucleotide sequences and 10% of controls showed positivity for S. typhi and was statistically insignificant (P = 1.00). Blood culture was negative in test as well as control group whereas, Widal positivity in both group comparable [Table 5], [Table 6], [Table 7]. Although scientific knowledge in viral oncology has exploded in the 20th century, the role of bacteria as mediators of oncogenesis has been less well-elucidated. Understanding bacterial carcinogenesis has become increasingly important as a possible means of cancer prevention. As cancer continues its climb as the leading cause of death in developed nations, understanding the long-term effects of bacteria has become increasingly important as a possible means of cancer prevention. Chronically inflamed tissue may lead to cancer development which may be either infectious or noninfectious inflammation. I have tried to show relationship of bacteria in causation of oncogenesis. Much effort has been applied to understanding the bacterial mechanisms that might influence oncogenesis. Posited mechanisms include deleterious alterations in physiological host processes such as inflammation, antigen-driven lymphoproliferation, and induction of hormones that increase epithelial cell proliferation. Bacteria may also promote cancer through direct effects on cell transformation or through the production of toxic, carcinogenic metabolites. Chronic typhoid carrier state was shown to be the only independent risk factor for the development of gallbladder carcinoma. Finally, studies demonstrated that typhoid carriage was not only associated with an increased risk of gallbladder cancer but also with malignancy in the pancreas, lung, and colorectum. The challenge of finding and understanding the true associations between bacterial infections and human cancers is indeed great, but it also promises great rewards. Unlike viral infections, bacterial infections are typically curable, and the prospect of antibiotic treatments to prevent, alleviate, or cure cancers is obviously alluring. When the pathways toward malignancy are initiated and when they become irreversible, though, are not fully understood. Vaccination against etiologic pathogens to prevent infection and thus eliminate the risk of cancer is yet another hopeful prospect for researchers. Pinpointing specific bacterial causes of cancer however has been challenging. The colon alone, for example, harbors >500 species of bacteria. Recent research has uncovered a great deal of information regarding the bacterial mechanisms used to cause, colonize, or cure cancer; however, many questions remain. For example, Do the bacteria in question initiate, promote, or merely show affinity for the neoplasm? Does cancer weaken the host which facilitates acquiring the infection? Can the highly site specific colonization of certain bacteria for a tumor be clinically useful in diagnosis or treatment? Could attenuated bacteria be used in vaccines to safely and effectively deliver therapeutic agents? The continued exploration of these questions will bring research ever closer to the prevention, early diagnosis, and truly effective treatment of this scourge of humanity. Nowell PC, Hungerford DA. A minute chromosome in human chronic granulocytic leukemia. Science 1960;132:1497-501. Ren R. Mechanisms of BCR-ABL in the pathogenesis of chronic myelogenous leukaemia. Nat Rev Cancer 2005;5:172-83. Bose S, Deininger M, Gora-Tybor J, Goldman JM, Melo JV. The presence of typical and atypical BCR-ABL fusion genes in leukocytes of normal individuals: Biologic significance and implications for the assessment of minimal residual disease. Blood 1998;92:3362-7. Biernaux C, Sels A, Huez G, Stryckmans P. Very low level of major BCR-ABL expression in blood of some healthy individuals. Bone Marrow Transplant 1996;17 Suppl 3:S45-7. Cheson BD, Bennett JM, Grever M, Kay N, Keating MJ, O'Brien S, et al. National cancer institute-sponsored working group guidelines for chronic lymphocytic leukemia: Revised guidelines for diagnosis and treatment. Blood 1996;87:4990-7. Chiorazzi N, Rai KR, Ferrarini M. Chronic lymphocytic leukemia. N Engl J Med 2005;352:804-15. Oscier D, Fegan C, Hillmen P, Illidge T, Johnson S, Maguire P, et al. Guidelines on the diagnosis and management of chronic lymphocytic leukaemia. Br J Haematol 2004;125:294-317. Klein U, Tu Y, Stolovitzky GA, Mattioli M, Cattoretti G, Husson H, et al. Gene expression profiling of B cell chronic lymphocytic leukemia reveals a homogeneous phenotype related to memory B cells. J Exp Med 2001;194:1625-38. Rosenwald A, Alizadeh AA, Widhopf G, Simon R, Davis RE, Yu X, et al. Relation of gene expression phenotype to immunoglobulin mutation genotype in B cell chronic lymphocytic leukemia. J Exp Med 2001;194:1639-47. Sgambati MT, Linet MS, Devesa SS. Chronic lymphocytic leukemia: Epidemiological, familial, and genetic aspects. In: Cheson BD, editor. Chronic lymphoid leukemia. 2nd ed. New York: Marcel Dekker; 2001. p. 33-62. Sellick GS, Catovsky D, Houlston RS. Familial chronic lymphocytic leukemia. Semin Oncol 2006;33:195-201. Landgren O, Rapkin JS, Caporaso NE, Mellemkjaer L, Gridley G, Goldin LR, et al. Respiratory tract infections and subsequent risk of chronic lymphocytic leukemia. Blood 2007;109:2198-201. Beebe JL, Koneman EW. Recovery of uncommon bacteria from blood: Association with neoplastic disease. Clin Microbiol Rev 1995;8:336-56. Chang AH, Parsonnet J. Role of bacteria in oncogenesis. Clin Microbiol Rev 2010;23:837-57. Lax AJ, Thomas W. How bacteria could cause cancer: One step at a time. Trends Microbiol 2002;10:293-9. 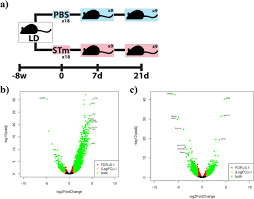 Porwollik S, McClelland M. Lateral gene transfer in salmonella. Microbes Infect 2003;5:977-89. Dutta U, Garg PK, Kumar R, Tandon RK. Typhoid carriers among patients with gallstones are at increased risk for carcinoma of the gallbladder. Am J Gastroenterol 2000;95:784-7.